As an epicenter of commerce, there’s unsurprisingly no shortage of advertising agencies in the Rochester area. But as a small business owner, how do you choose the right Rochester advertising agency? Where should you spend your marketing dollars? What are your advertising goals – do you know? What can you successfully accomplish in-house and where do you need the most help? Since 1978, Valpak of Rochester has been the choice advertising agency in Rochester. As a local business, we understand the unique nuances of the Rochester marketplace and specialize in providing the one-on-one attention your business deserves when spending your hard-earned marketing dollars. Your Rochester Valpak continues to thoughtfully adapt to the changing advertising environment, as well as today’s collaborative agency model, with an emphasis on omnichannel marketing to drive results across platforms. We’re the trusted partner to provide your Rochester business with qualified leads from an engaged audience of 1.1 million local consumers actively looking for your products and services. Our team employs nimble advertising and layers marketing assets to ensure cohesive, successful ad campaigns. Is TV Advertising Right for Your Rochester Business? With an impressive 96.5% of homes in the U.S. with a TV set, many Rochester businesses choose to spend a portion of their advertising budgets on TV ads on cable networks and local channels like 13WHAM ABC or News10NBC. TV advertising certainly has its benefits, including the ability to target your audience by what they watch (show/category) and when they watch it (time slot). Prices for airing a TV ad can range anywhere from a low of $5 per 1,000 viewers for less popular channels in less desirable time slots to up to $2 million for the crème de la crème Super Bowl commercial ad. As a business owner, it’s also important to weigh the cost of producing your TV ad – from casting and shooting to editing and promoting – with the return on investment for your hard efforts. With many consumers cutting the cord on paid TV services – up to 3.5 million in 2017, you may be afraid to “go all in” with your spend on TV advertising. That’s the right approach, as a cross-media strategy will always deliver the best results. Blindly spending your marketing budget on advertising and crossing your fingers it works is not the best use of your time or resources. You’d be surprised how many local business owners have no idea if or how much revenue their Rochester advertising is generating. This is where Valpak of Rochester can really help. Our media consultants provide a full audit of your current advertising efforts to demonstrate where there’s room for improvement. Based on your advertising goals – brand awareness, new customers, higher average tickets, more website orders – we’ll create a cost-effective marketing plan tailored to your business. These insights are critical in accounting for every dollar you invest in your marketing. You’ll glean an unparalleled understanding into what your customers want and what inspires them to purchase so you can increase your investment where it’s working and reduce it where it isn’t. Even better, we’ll walk you through the dashboard and help you interpret your results with strategic recommendations to optimize your campaign for success. As a Google Premier Partner, Valpak of Rochester is uniquely qualified to build your New York business’s online presence. We have the skill set and tools to expertly manage your digital marketing with the quality of service you’d come to expect from an advertising partner with Google’s stamp of approval. Does your business need a visibility boost? Partner with Valpak, the recognized name in Rochester advertising, to precisely target your best prospects in Rochester, Canandaigua, Webster, Fairport, Pittsford and other local cities and towns. 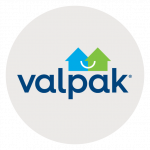 Valpak of Rochester is an independently owned Valpak franchise. When Michael Bacon, owner/operator of BrewBurgers, first looked into direct mail advertising, Valpak jumped out as a national brand that people recognized. He was still unsure of how the response would be, even if he liked the idea of doing coupon advertising. In the years since, he’s come to find a lot to like about Valpak, including his sales rep, who stops in monthly to check on him and to ensure his ads look right. Each month he mails in Valpak, Michael sees customers come in immediately, like the next day, so he knows it works. He credits the quality of his print piece and Valpak’s demographic targeting with bringing in the people that want to eat at BrewBurgers. Michael would absolutely recommend Valpak to other businesses, especially in the off-season when it’s challenging to bring in new customers.